For your baby’s delicate skin, Mamaearth Cutie Cleanser helps remove the marks of crayons, sketch pens, markers, lipsticks from your baby’s skin gently and with care. PACK SIZE: The pack contains 100 ml. 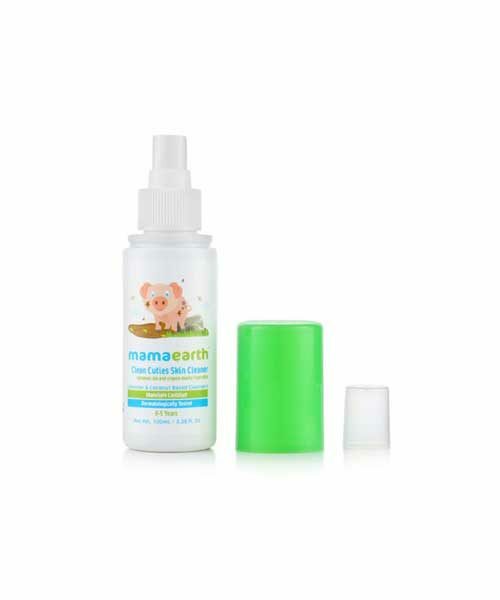 FEATURES: Mamaearth Cutie Cleanser for Babies is a natural skin cleanser which helps in removing the marks of crayons, sketch pens, markers, lipsticks from your baby’s skin gently and effectively. CONTENT: Mamaearth Products contains Aqua, Lavender Water, Chamomile Water, DiSodium Cocoamphoacetate, Glycerin, Sodium PCA, Potassium Sorbate and Orange Oil. In love with this product, must have for babies.